The Turkey Hill Wilderness is located in Texas and is managed by the Forest Service. At over 5,536 acres, this wilderness area is huge. While you won’t find turkeys running around, you will find plenty of deer and snakes. There are also lots of bugs so be careful while you are exploring because you are likely to get bit by a tick or chigger. The gorgeous forest is thick with hardwoods and pine. You will have hills and slopes to explore and if you climb to the ridge, you will enjoy a beautiful view. There are plenty of trails to explore and the many creeks provide water and beauty to this area. The Turkey Hill Wilderness area is a great place to camp, but you have to make sure you follow all the camping laws and clean up after yourself. There are certain rules you have to follow when you are exploring the area. 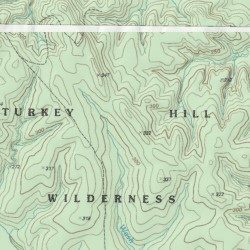 Since the Turkey Hill Wilderness is a habitat for animals, you can’t ride a dirtbike, motorcycle, or any type of vehicle that is motorized. Many people escape to the wilderness to enjoy hiking, backpacking, and horseback riding. There are places where you can kayak and canoe, and rafting is popular as well. The area is a haven for birders and there are many different species of birds to observe. If you want to get an amazing view of the stars, consider camping overnight. The leave no trace policy is in effect at the Turkey Hill Wilderness. This means that you have to pack out all of your waste. You cannot leave anything out for more than 24 hours and the maximum time you can stay is 14 days. It is very important to follow the rules to keep the area safe for the flora and fauna and also keep visitors safe as well. When you are planning your trip, always prepare for sudden weather changes or extreme weather. Use a map and compass to get around, and study any regulations before you leave. Don’t make your own trails and try to stick with existing campsites instead of making your own. Be very careful when you are making a fire and keep them small. Always put the fire out completely before you leave. You can’t take any artifacts you find out of the wilderness and always keep things as you left them.